Unique and beautiful yoga pant in organic cotton lycra. This is one of our best sellers who have been with for several years. 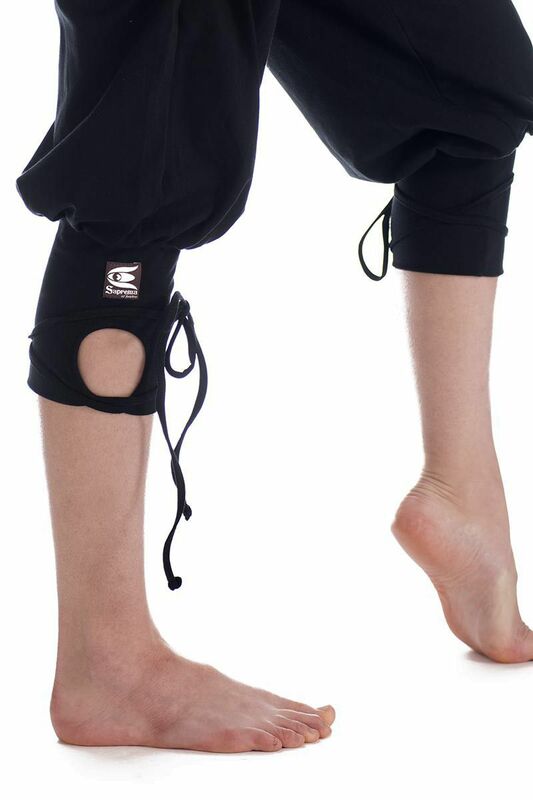 With many details, this pants are also excellent as a beautiful and comfortable everyday pant to use in any situation. 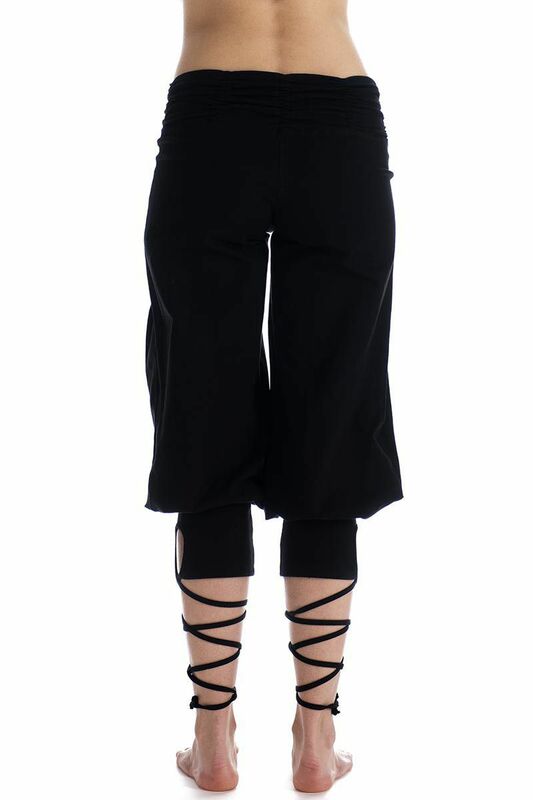 Draped waist and folded pleats over the thigh makes the pant fit well over the hips. The laces at the bottom of the leg can either be swirled around the leg or tied over the cuff uner the knee.